Having made over $100 million in what is the most lucrative boxing debut of all time from, “The Notorious” also further enhanced his profile on the world stage and opened doors to new financial interests as a result of the “Money Fight”. Conor McGregor also joined the list of participants in the highest grossing pay-per-view (PPV) fights in boxing history. The UFC lightweight champion can now boast to be sharing the same list with legendary boxers such as Mike Tyson, Oscar De La Hoya, Manny Pacquiao, Evander Holyfield and, of course, Mayweather himself. 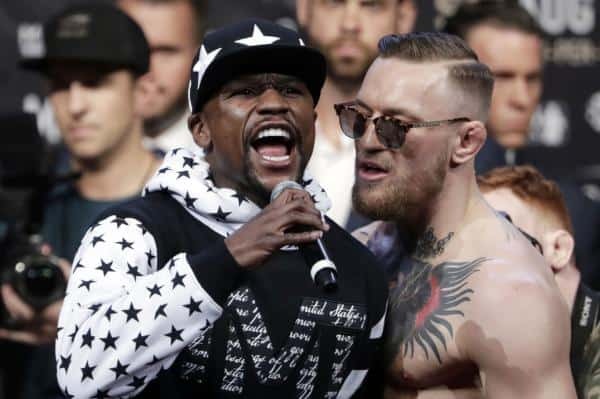 Although McGregor casually claimed that the bout had sold in excess of 6 million pay-per-view buys, Showtime Sports confirmed a final figure of 4.3 million North American purchases for the highest grossing fight of 2017. Mayweather vs. McGregor fell approximately 300k buys short of breaking the record set by 2015’s contest between Mayweather and Manny Pacquiao. “SHOWTIME Sports confirmed today that the SHOWTIME PPV presentation of Mayweather vs. McGregor on August 26, 2017 generated 4.3 million pay-per-view buys in North America. This includes traditional television distribution and online portals such as the new SHOWTIME PPV app and SHOWTIMEPPV.com as well as UFC.TV in U.S. and Canada. While McGregor may have missed out on fighting in the highest-grossing pay-per-view of all time, he does potentially have the opportunity to fight Manny Pacquiao. The boxing superstar’s long-term coach Freddie Roach is surprisingly uninterested in seeing his most successful fighter take on the UFC lightweight champion, however. The legendary coach simply believes that the fight would be a gross mismatch. Recent reports linking the Filipino icon to a boxing bout with McGregor in 2018 gained traction when Pacquiao posted a peculiar Thanksgiving message on Instagram. The 38-year-old added a photo of the UFC superstar, tagging him with the caption “stay fit my friend” and indicating that a bout between the two would be a “real boxing match” in 2018. Dana White flat out denied the possibility of a fight between McGregor and Pacquiao, going as far as to threaten to sue the highly decorated former champion and ‘whoever is representing him’. “Manny always told me that he doesn’t like that sport [MMA] because it’s more like a street fight”, Roach told FightHype. “It’s a very winnable fight [against Conor McGregor], and there’s a lot of money to be made from it. But it’s kind of like ripping off the world. It wouldn’t be a fair fight, unless Manny fought by their rules too, which would make it fair. For as long as McGregor seems intent on holding off on committing to a new UFC deal, there will continue to be a heathy number of potential suitors inside the ropes. Having broken the novelty against Mayweather in his first foray into boxing, however, it would be highly unlikely that there would be anywhere near the interest that last summer’s “Money Fight” managed.